How to select a small boat that fits your needs—find out as we dive into the topic, "choosing the right dinghy." Dinghies are chameleons. The moment your anchor hits the bottom, the dinghy's role is elevated from stowage nightmare to your only lifeline to groceries, friends, parts and entertainment. The importance of choosing the right dinghy becomes clear the moment you experience or observe a bad choice. Returning to the boat on a blustery, choppy afternoon with the dink loaded with groceries and the wind on your nose is an experience you won't soon forget if the dink is too small to handle the situation. Having learned this lesson the hard way, I now chuckle when some hapless boater slogs across the harbor in an inflatable equipped with a two-horse engine that is both too soft and too small. One of the funniest dinghy rides I've ever had was across Nassau harbor in a rather small inflatable with eight good-sized crew members at the end of a sailboat race. No one wanted to be left behind, so one by one we climbed aboard. We soon realized that we had less than two inches of freeboard and that if we went faster than about half a mile per hour, water would flood over the bow. 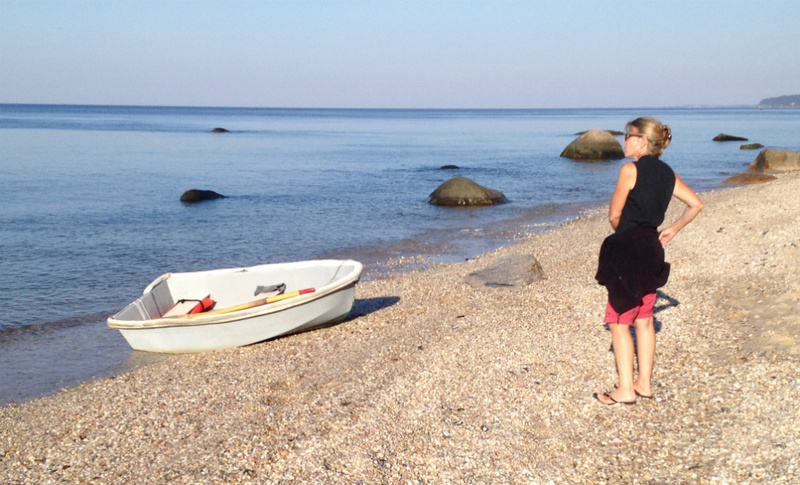 Each time a boat passed in front of us, we turned back to avoid even the smallest waves. For half an hour, we took two steps forward and one back until we finally made it to the other side. I spent the whole time clutching my prized 35 mm camera, hoping I wouldn't have to take it for a swim. Rigid inflatable boats combine a soft inflatable flotation tube around a durable fiberglass hull. Understanding trade-offs is the key to selecting the right dinghy. 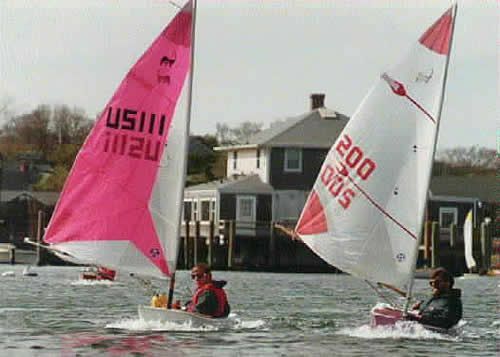 Each type of dinghy has both strong points and limitations. Charter companies love the durability and ease of repairs that comes with fiberglass dinghies. From the main boat they are easy to get in and out of. In addition, they carry loads easily and stand up well to the wear and tear of rocky beaches. They even tow well on short trips between anchorages. But their hard edges make them difficult to board from the water, and hard to haul on board and stow on deck. 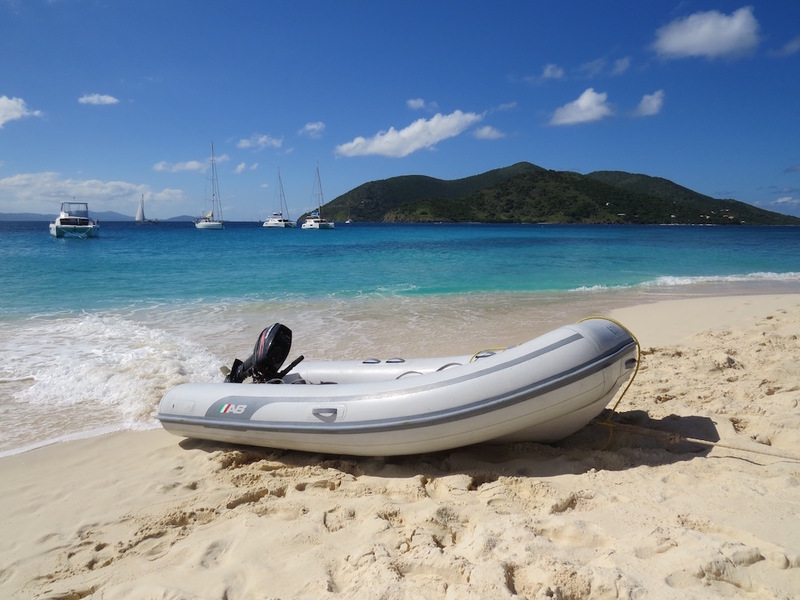 Rigid inflatable boats combine a soft inflatable flotation tube around a durable fiberglass hull. The hard soles make them easy to board and great for carrying supplies or people, while their soft outer ring makes them easy to climb into from the water and gentle on boats around them. RIBs need to be stowed on deck or on davits and few boats under 40 feet have enough room for them on deck. If your boat can't handle the size of hard dinghies or RIBs, your best option is a fully inflatable dinghy. Many of these have inflatable or solid floors that provide some rigidity and help reduce drag. A challenge for small boats is finding an outboard engine with enough power to plane and yet small enough to wrestle on deck. 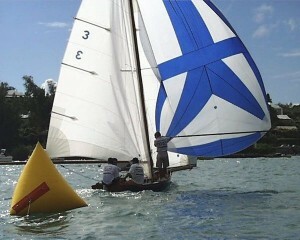 The most popular sizes to install on boats of this type are between 6 and 15 horsepower. 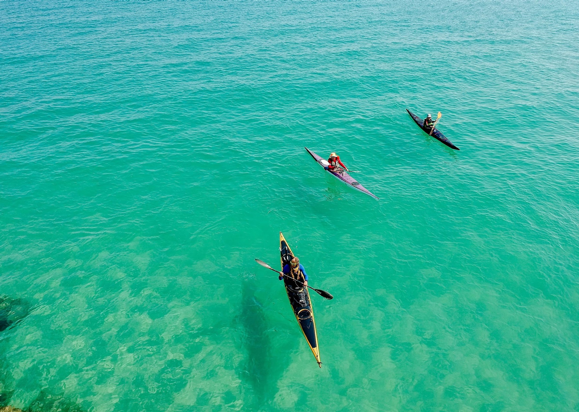 Which do you prefer, a kayak or canoe? Kayaks and canoes are also great recreational boats for gunkholing and exploring. Most are intended for rivers and lakes, but some are specially designed for near-shore salt water use. Typically, canoes and kayaks can be easily carried on the roof of cars or boats. If you are serious about cruising and want to make the most of your experience, choosing a dinghy isn't the time to cut corners. Get the biggest, best dinghy you can comfortably handle and stow. You will be thankful every time you use it. Editor's Note: This article was originally published in August 2000 and updated in August 2018. 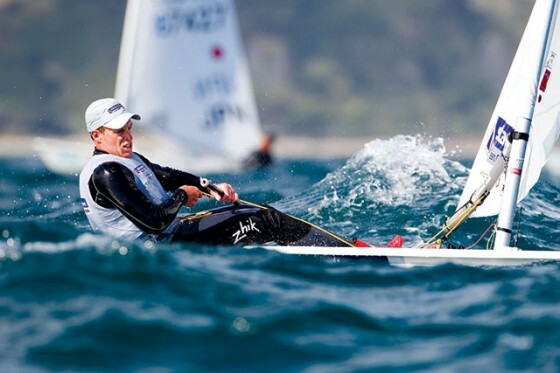 Laser to Become the Kirby Torch Dinghy?